Sand/Gravel Filter, Drip Irrigation System, Drip Lateral, Inline Dripper and Emitting Pipe Supplier & Distributor in Rajkot (Gujarat), India. This kind of a filter is usually required in peculiar cases when the water source is open well, ponds, rivers or canals. In such cases, water needs filtration also against green algae, and “Khedut” gravel and sand filter prove to be the best in this regard. These filters are available in various flow rates like 10m3, 20m3, 30m3, 40m3, and 50m3. 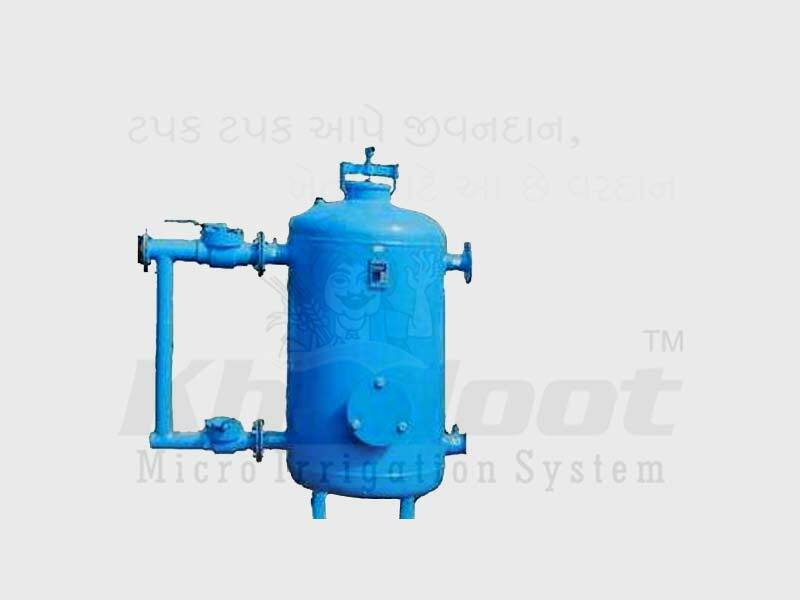 We are providing quality certified array of Pressure Sand Filter, which is especially demanded for removal of suspended solids & undissolved impurities. These impurities are generally heavy metals and dust particles. 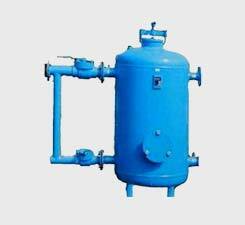 The pressure sand filter is highly suitable for the systems with high sediment, silt, sand, and turbidity. Our innovative design ensures the maximum utilization of the surface area, lesser pressure drop across the pressure bed and effective elimination of the impurities. Its application area includes swimming pool water, pre filtration for membrane system, production for drinking water and many more.